I’m also co-presenting Can Architects and Structural play nicely? in session 12 with Nathan Love. 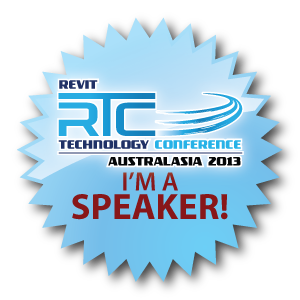 RTC is a great conference, a good size with a load of real Revit stars in attendance. It’s a unique experience where you can stop and chat to almost anyone in the venue and know that you can have a meaningful conversation on something Revit related. I hope that I catch up with you there! betterRevit is spreading the word about Revit Education!